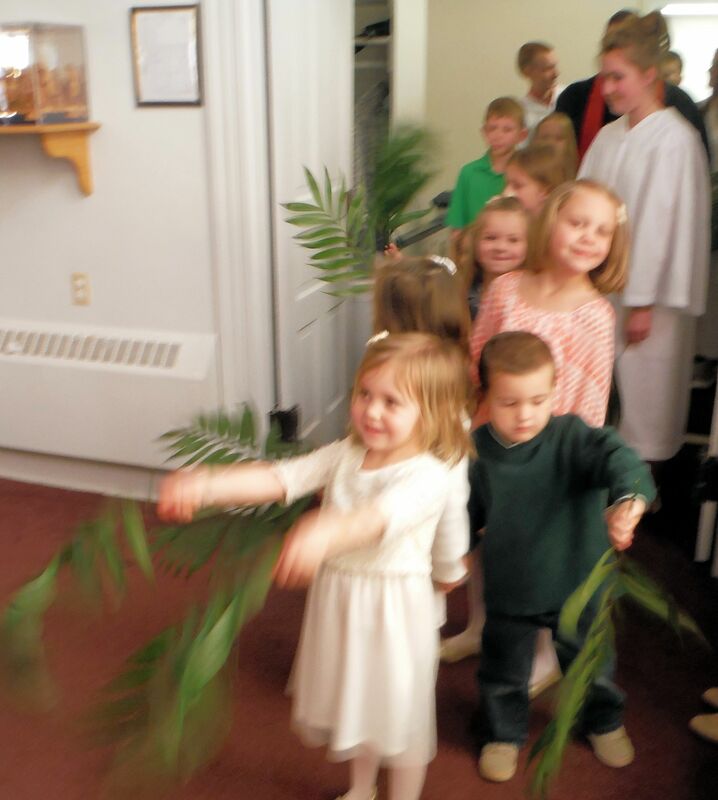 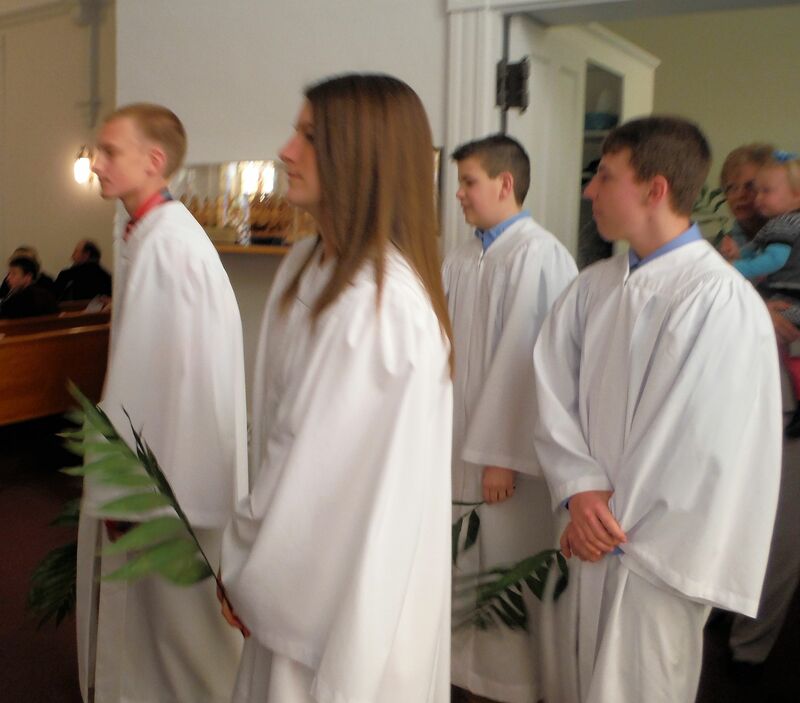 Palm Sunday Procession for children and youth to carry palms down the aisle in morning worship and lay them at the altar. 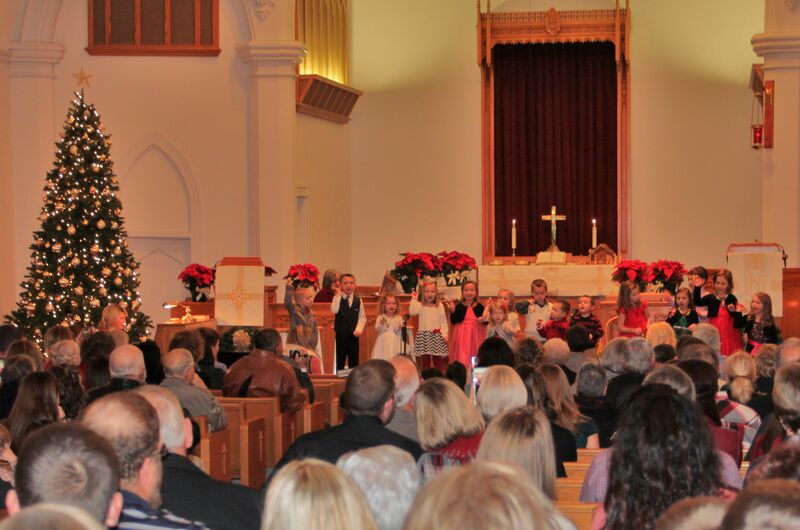 Rally Sunday usually occurs in August when children begin a new school year. 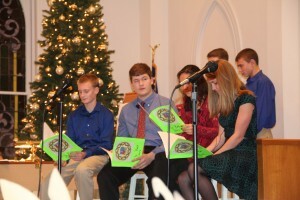 They are promoted to new classes according to their age and grade in school. 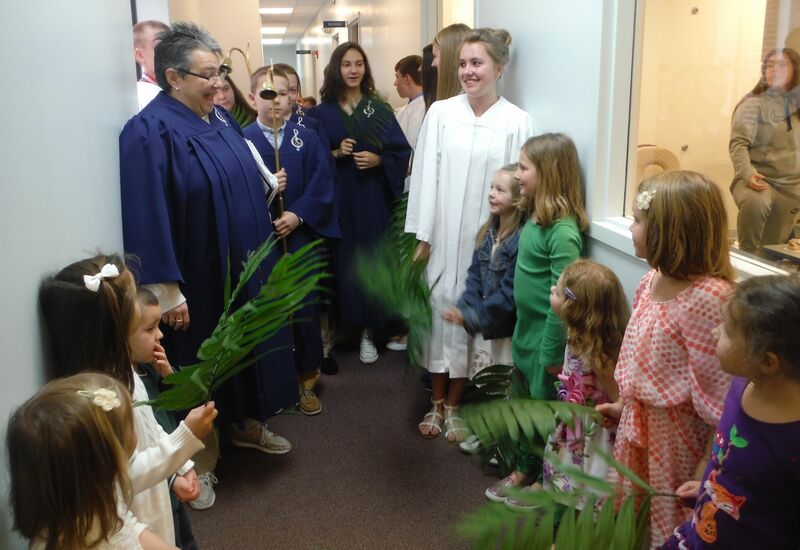 (See Sunday Morning Gathering for Rally Day 2017 photos. The Bible presentation to 4th graders usually happens the same day during morning worship. L to R: Adler Koestner, Cody Schneider, Ben Bestgen, Chase Trimble, Ashton Bolinger, Amelia Motley, and Colin Kruger with Rev. Moll. (Logan Carpenter not pictured.) 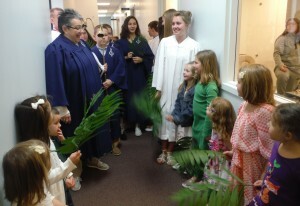 These children came forward for a message and prayer. 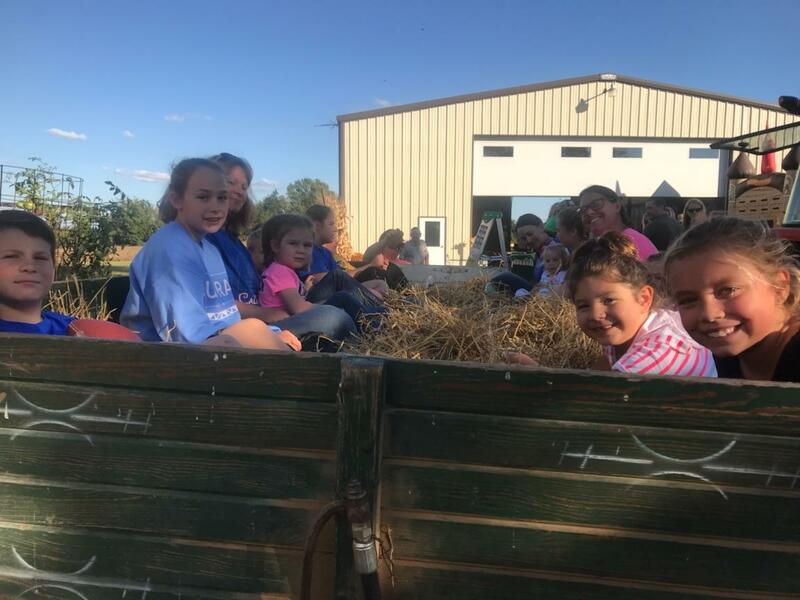 Fall Party is a time for fellowship, food, and fun. This outdoor event is usually held in early October. 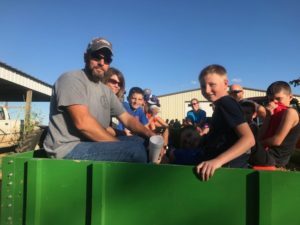 Often it features a hayride. 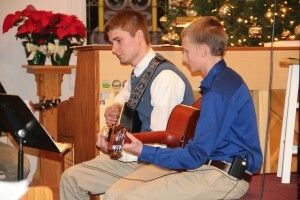 Event held at Norman and Joyce Rohrbach’s Farm. 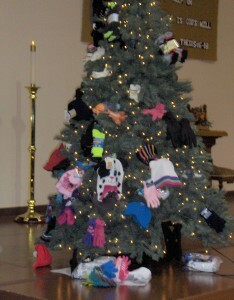 Sock and Glove Tree allows everyone an opportunity to contribute socks, gloves, hats, and scarves to those in need. We bring these gifts during Advent and decorate a tree with them. Cookies and Carols are enjoyed on a Sunday morning near Christmas day. 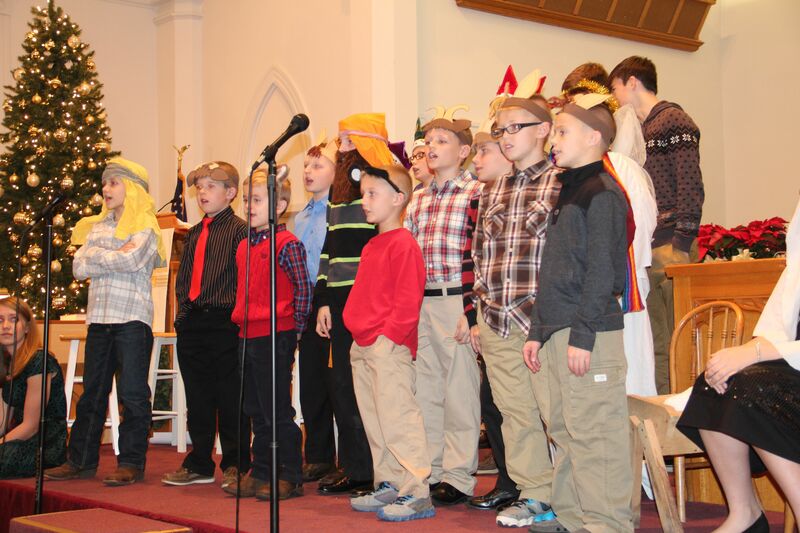 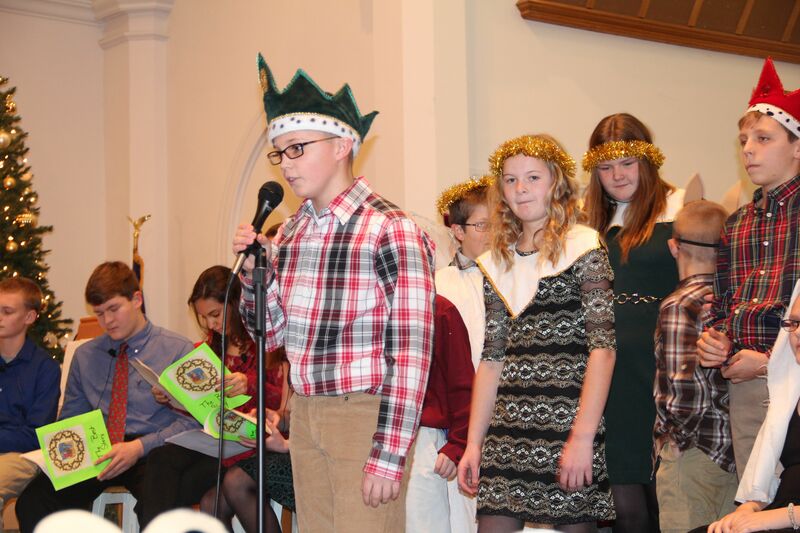 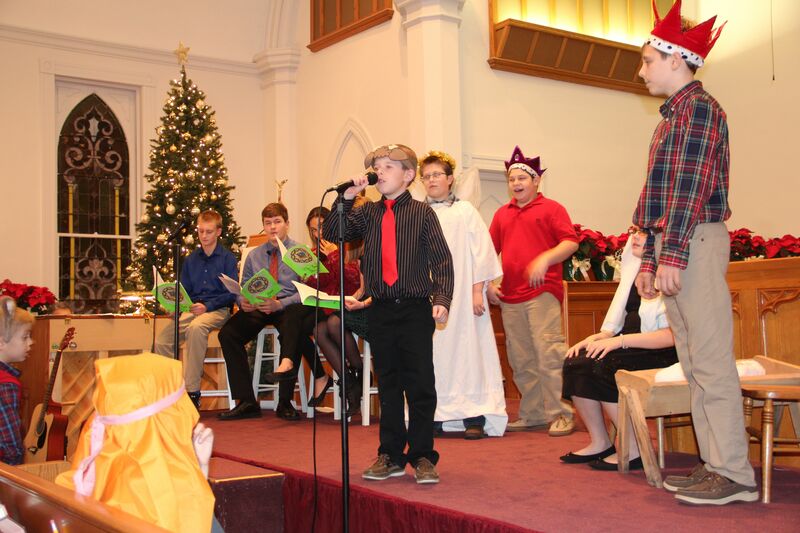 Children’s Christmas Program involves all children and youth in presenting the message of the Christmas story. 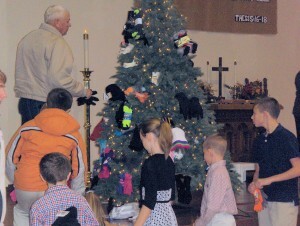 By tradition, it is usually presented on Christmas Eve. A special mission offering is taken.